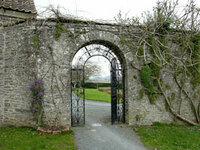 Gliffaes is an Italianate house and 33 acres of woodland garden, 150 feet above the River Usk. The sunny terrace has lovely views over the grounds and river. Gliffaes has fishing, croquet and tennis within the grounds. 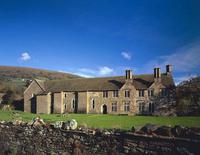 The hotel is in the Brecon Beacon's National Park. 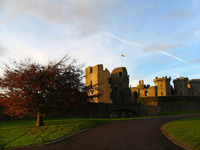 Gardens to visit while staying at Gliffaes Country House Hotel include Tretower Court and Castle (4 miles) and Raglan Castle Garden (19 miles).